I searched but did not find anything on this. I am rebuilding my gauge cluster and have it completely dissembled so I also want to refresh it, particularly the inside. I notice it has this odd texture to it kind of like, for lack of a better word, stippling. I don't think that is the factory finish as it smears very easily. 2. If is is not factory what is the correct finish color flat,matte, satin?? Run around the interwebz and look for a flocking kit. Another option that could be interesting is plasti-dip. Although it isn't intended as a permanent product like flocking. If you have the front glass off, go to a company that does displays, as in store displays if you have one close by, and have them flock it for you. The finish will be unbelievable. The cost negligible. I did this in the glove compartment of a car I was restoring years ago and was much more than pleased. so that "stippling" is factory? Thank you for the reply but I do know the difference. I was using the term "stippling" because the inside of my cluster, behind the clear plastic, has a lot of texturing to it that looks like a lot of little raised dots. not a a fuzzy coating. Was I was asking is are all these little raised dots a factory finish or not. 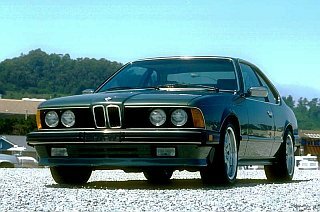 I just went and looked at my parts e24 and it has it too it is just it does not look as uniform as the one I am refreshing. It definitely is not flock as I have flocked items before. Just been delving into my brinicle this evening... The finish on yours looks quite different from both of mine (82 and 85) - quite course and stippled - but it does look original. I have found that the glue is water based and dissolves quite easily. 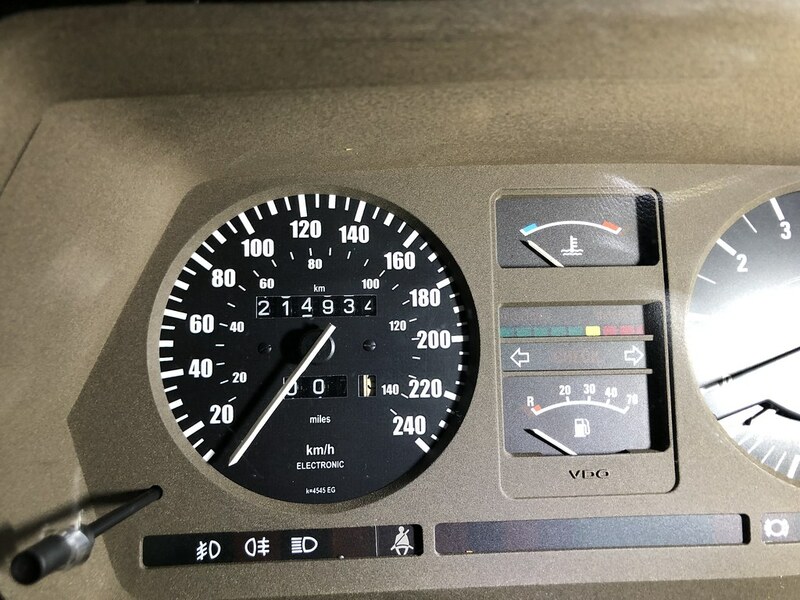 My '85 E24 Euro's original cluster had the same look. I assumed it was heat damage since it smeared when I tried to clean it. It was as if the original coating had disintegrated. I ended up replacing it with one in much better condition without the speckles and the smears I made trying to clean it. What was the finish of the newer cluster? Matte? Satin? 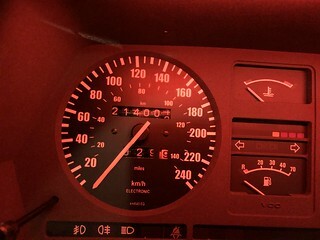 The "new" cluster was from an older car '83 but was in better condition. The color is the same as the one in your picture but the finish is more even without a pronounced speckled appearance. I'm glad this question has been asked as mine is exactly the same. I have to pull the gauges out soon and was going to clean it up and replace the clear plastic as it has a crack. I thought at first the gauge surround had mould but the finish looks too uniform so I changed my thoughts to it being a factory finish. If it 'smears' it sounds like a coating/paint finish that has failed. DV80R - how did you get the plastic off.